The new MINI lineup includes models with well-equipped car interiors featuring premium materials and technologies, but if your car smells like mold, it’s going to be hard to enjoy—not to mention it can be bad for your health as well. San Marcos drivers can learn how to get rid of car mold with help from the service professionals at MINI of Escondido. Get your materials together. – In order to get rid of car mold, you’ll need a surgical face mask, a spray bottle, white vinegar, water, a pair of cleaning gloves, an old toothbrush, a wet-dry vacuum, lysol, and a dehumidifier. Get yourself prepped. – In order to protect yourself from mold spores, as well as the materials you’re going to be using, put your mask and gloves on before getting started. Let the car air out. – Put the car in direct sunlight, and open all the doors and windows. Let it sit for at least 15 to 30 minutes. This will remove some of the loose mold spores from the cabin before you go in. Shake out floor mats. – Take the floor mats out of the car, and shake them out thoroughly. Break up mold clusters. – Using the toothbrush, gently stroke any upholstery or floor surfaces with mold clusters to break them up. Vacuum loose mold. – Use a wet-dry vac to vacuum up any loose mold in the car, including the crevices of upholstery and hard-to-reach corners. Make vinegar mix. – Mix four parts white vinegar to one part water, and pour the mixture into a spray bottle. Spray the mold. – Using the vinegar mixture, heavily spray the surface of the car’s interior carpet, upholstery, and floor mats. Spray Lysol in the car. – In addition to covering up unpleasant smells, Lysol will help disinfect the car. Dehumidfy the car. – Use a dehumidifier to get the excess moisture out of your car. 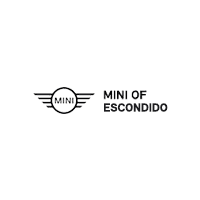 Whether you’re need a warning light checked near San Diego, or are wondering how to check your tire treads, the team at MINI of Escondido can help. We’re even here for local tips and advice, too! We’re located near Carlsbad at 1555 Auto Park Way in Escondido, CA. Our dealership is open seven days a week, and you can contact us for more questions.